Established in May 2016, one of our most recent designated agency funds is the Darrell S. Jones Fund. This fund was established through a bequest from the estate of Darrell S. Jones, Sr. in order to provide scholarships to worthy high school graduates who plan on attending Central Ohio Technical College or the Newark branch campus of The Ohio State University, and to provide help in defraying the cost of any great need of the Second Presbyterian Church of Newark, Ohio. Darrell S. Jones was a long time influencer in the Licking County community and a World War I veteran. After returning home from the war, he began working as a salesman for an oil well supply company in Marietta, Ohio. Through his job, Mr. Jones traveled throughout the state, including the Licking County area. He moved to Newark after meeting and marrying his wife, Esther Louise Reese in 1923. In 1926, he founded his own business in oil and natural gas production called North Folk Oil. Mr. Jones ran this company until 1936, when he sold North Folk Oil and started The Jones Insurance Agency. He remained active in his insurance agency until 1989. Mr. Jones passed away in 1990. Darrell S. Jones was also a very involved community member. He had an active political life, holding several state and national appointments. These included Assistant Director of State Welfare for Ohio and state consultant to the War Production Board under President Roosevelt. Mr. Jones was also a member of Newark Rotary Club since 1938. 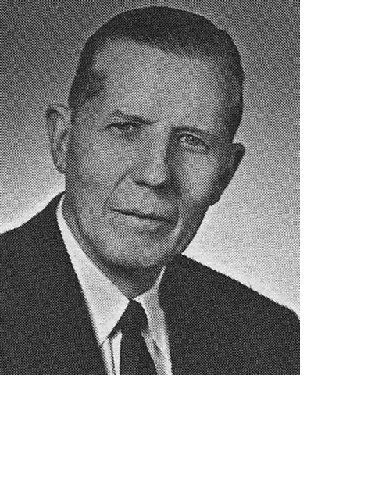 He served as President of Rotary in 1942 and District Governor in 1957. Mr. Jones was a Paul Harris Fellow and received an award for his fifty years of dedicated and outstanding service. Mr. Jones also served as a board member on several community service organizations and was a member of the Second Presbyterian Church in Newark. Darrell S. Jones was an active Licking County resident who led a life of involvement and philanthropy. His legacy continues to live on through the opportunities that his generous gift provides.